s'Gravenhage, de gebroeders van Cleef, 1865. 8vo (220 x 135mm). pp. xii, (2), 150, with 5 folded coloured maps. 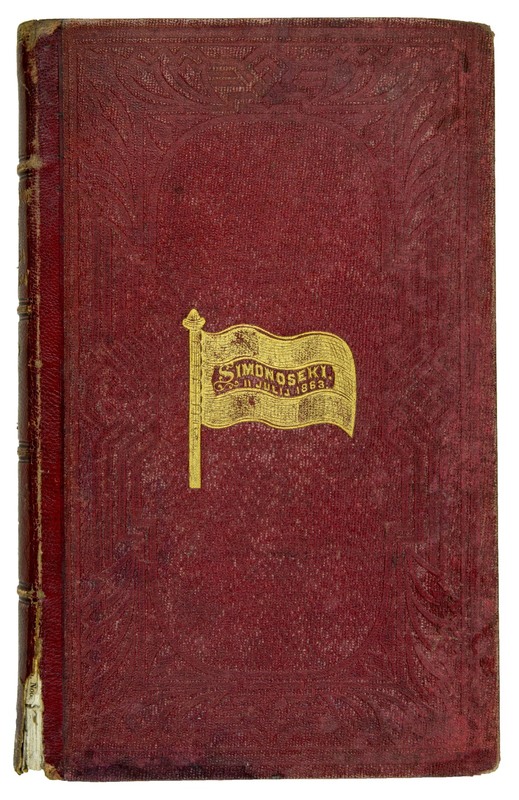 Contemporary half red calf, gilt lettering on spine, sides gilt pictorial cloth, gilt edges (small repair to foot of spine). Rare first edition. 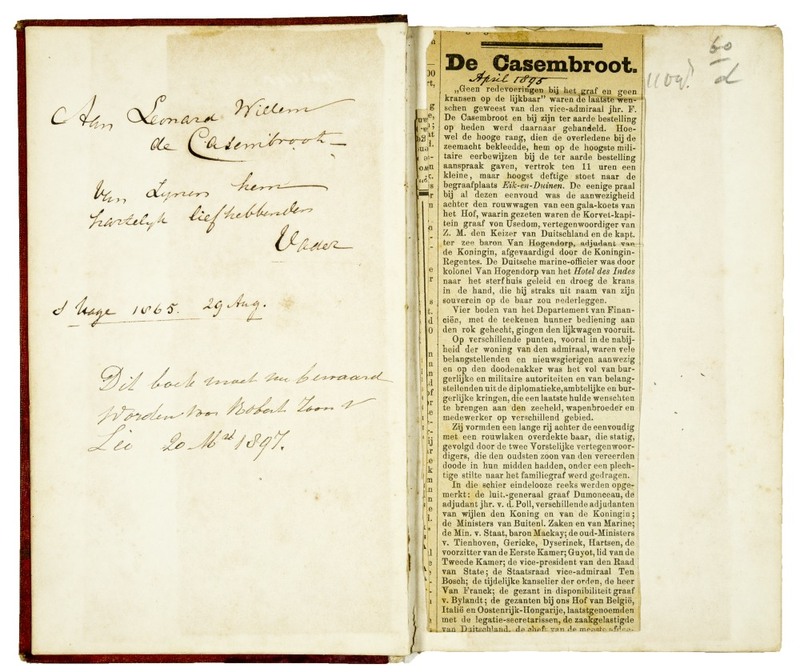 A very interesting association copy with a warm and highly charming dedication from the author to his son: "Aan Leonard Willem de Casembroot van zynen hem hartelijk liefhebbenden vader, s'Hage 1865, 29 Aug." as well as a later dated note of 20 March 1897 that the book should now be kept for Robert's son on free endpaper, visiting-card of F. de Casembroot, Vice-Admiral e.r. 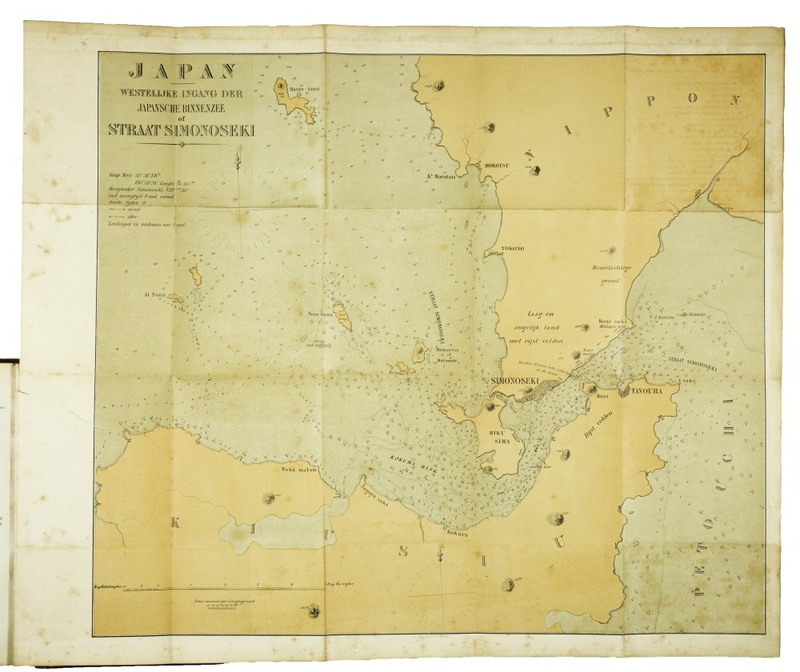 Mauritskade 4, inserted, as well as a Japanese woocut map on Japanese paper, with English text, similar but not identical to the last map in the book, as well as newspaper cuttings dated 20 october 1865 describing the fighting of the 'Medusa' in Japan, also newspaper cuttings of 16 april 1895 concerning the death of F. de Casembroot. 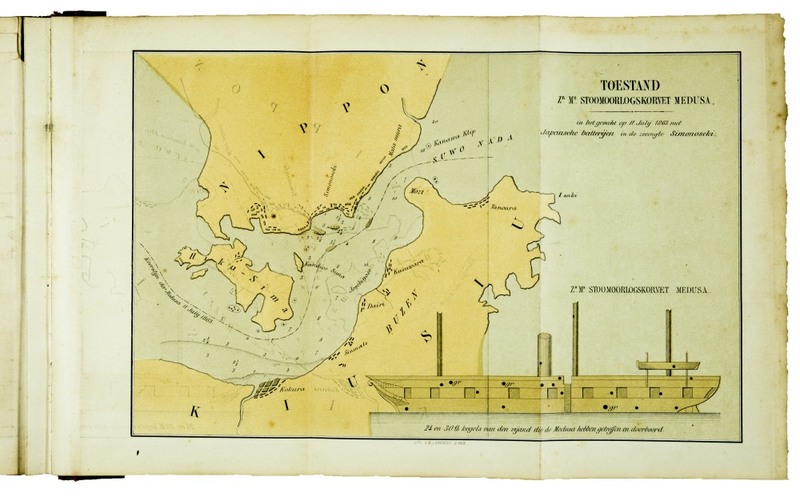 "On 11 July 1863 the Dutch corvette 'Medusa', commanded by Lieutenant François Casembroot and on its way to Yokohama, was attacked as it passed through the Straits of Shimonoseki at the entrance of the Inland Sea. It was not the first time that the local daimyô of Nagato had fired on foreign shipping, but ... until then there had been no casualties. This time, as a result of prolonged firing of cannons, during which the 'Medusa' was struck no less than twenty times, four members of her crew were killed and a further five injured. The 'Medusa' put up a brave fight, and managed to sail through the straits and on to her destinantion. 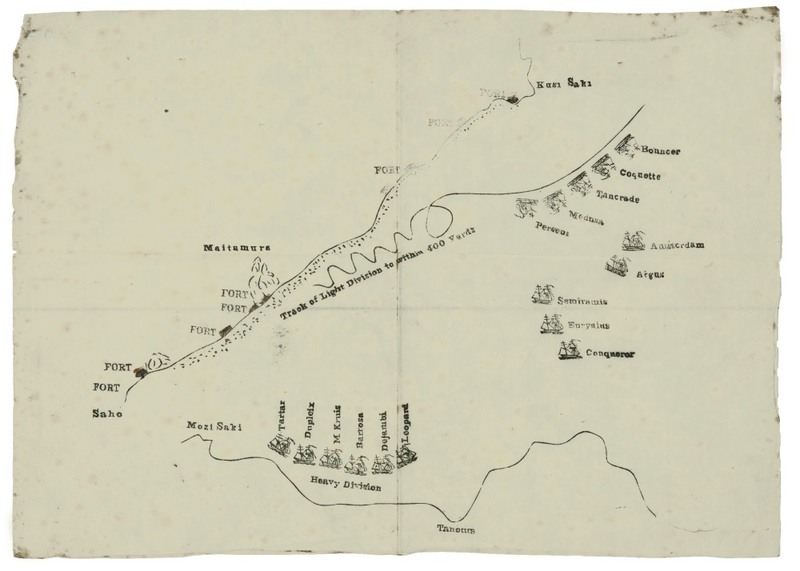 This incident led to retaliative measures the following year by Britain, France, the Netherlands, and the United States, which succeeded in quelling the daimyô's ambition and securing a safe passage for foreign shipping through this important stretch of water. 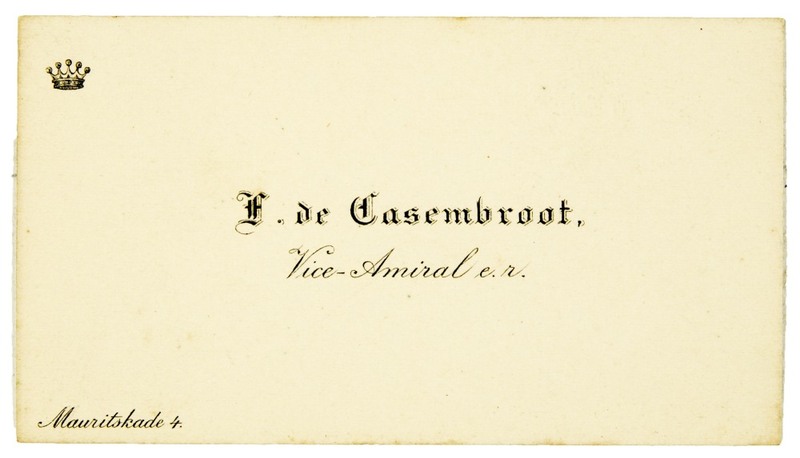 Casembroot's own account of the incident and the measures taken to avenge the loss of Dutch lives was published on his return home in 1865. 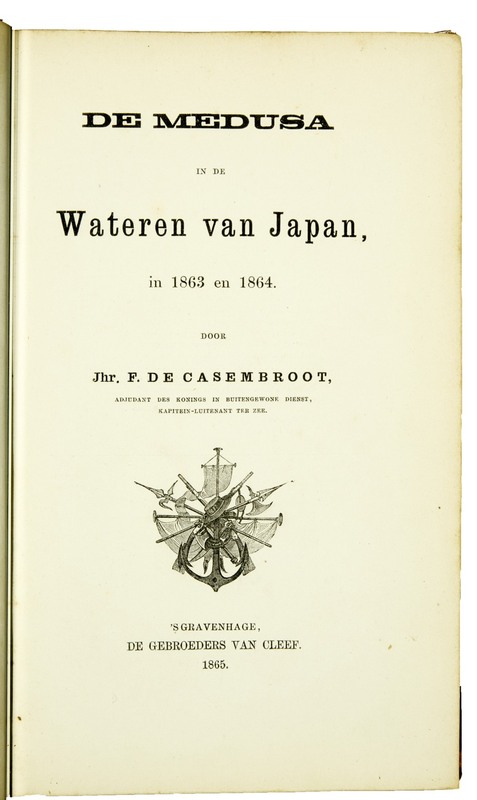 It may be taken as a fair sign of the indignation felt by the Dutch reading public concerning this incident that this slim book went into a second printing within the year of its first publication" (Nipponalia II, VII). 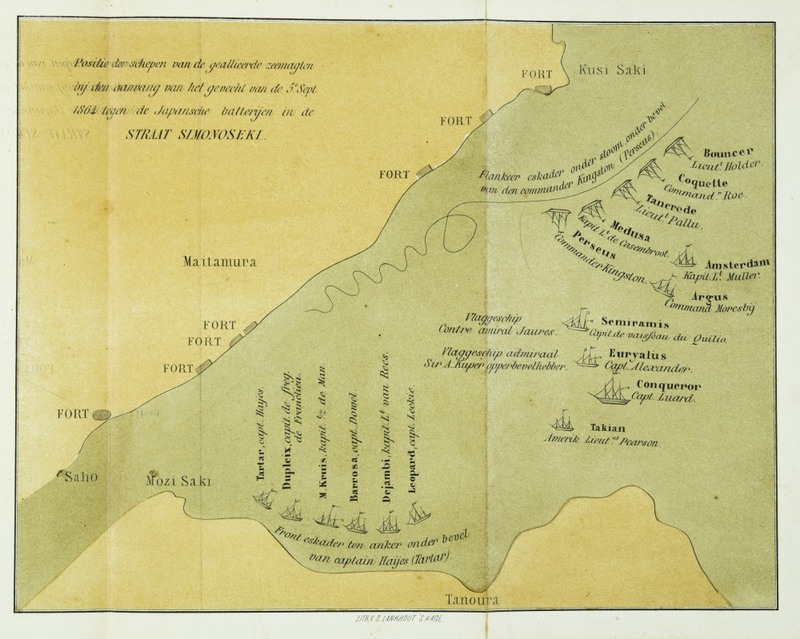 The second edition has one frontispiece and only 2 maps. Nipponalia II, VII (second edition); Cordier 579 (second edition); Tiele 234.